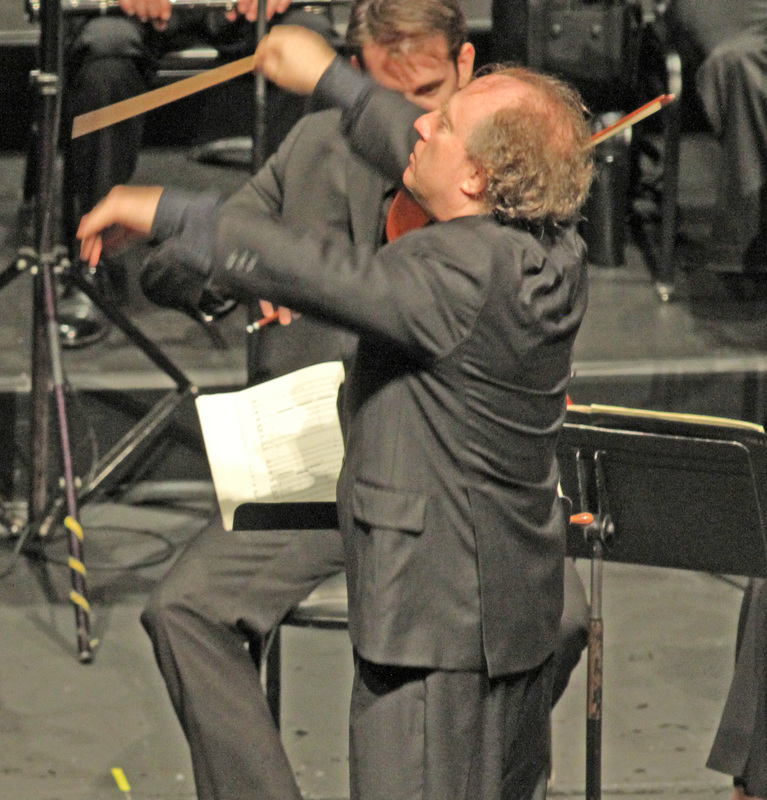 The Los Angeles Chamber Orchestra and their Music Director, Jeffrey Kahane, can almost always be counted on to present compelling programming, interesting soloists, and thoughtful interpretations. For their 2014-15 season opener, Mr. Kahane and the orchestra rolled out more of the same, care of a new work by Cameron Patrick, an infrequently-heard bit of piano concerto sass from Saint-Saëns, and that most iconic of symphonic warhorses, Beethoven’s Fifth. This season is full of great programs like this, each spanning music from various stylistic epochs. Mr. Kahane may be stepping down from his post in three years, but it’s clear he isn’t going quietly. Huzzah for that. The most impactful work of this particular evening was, perhaps surprisingly, the Symphony No. 5 of Beethoven. Mr. Kahane may have had only chamber sized forces at his disposal, but he used them to maximum effect in a particularly feisty interpretation. Tempi were not shockingly fast, but relentless. Horns were notably punchy, while the strings sliced more than they slashed. The combined effect was powerful without ever being pompous at one extreme or prudish at the other, and especially in Royce Hall’s resonant acoustical environs, made the overly familiar work alive and current. The orchestra sounded excellent in the process and, with the exception of a sloppy moment in the violins during the transition from the third movement to the fourth, played with their typical combination of precision and warmth. Principal Oboe Allan Vogel made notably outstanding contributions. The first half of the evening was also interesting and enjoyable, if not nearly as weighty. The evening opened with the world premiere of Mr. Patrick’s Lines of the Southern Cross, a LACO commission. It serves as an aural travelogue through three Australian regions, with didgeridoo-like opening notes in the cellos and basses setting the tone for the whole piece. Long lines trade-off against pulsing rhythms throughout the work, with harmonies and timbres that added to the meditations and activities occurring within the music. The USC Thornton School graduate happens to be a working film and TV composer, and if the work sounded at times like the soundtrack to a National Geographic special, this certainly didn’t detract from its directness and listenability. The LACO musicians — many of whom, as Hollywood studio musicians, have likely played his compositions before — gave it a fine performance, with Margaret Batjer (Concertmaster), Roland Kato (Principal Viola), and Andrew Shulman (Principal Cello) playing noteworthy solos. Some of the more conservative LACO patrons could be heard to murmur mild disapprovals, but the bulk of the Royce Hall audience enjoyed the work enough to offer healthy applause to the composer and performers. The centerpiece of the evening was the Fifth Piano Concerto of Camille Saint-Saëns. The “Egyptian” concerto, as it is popularly known, gets its name because the composer wrote it while vacationing in Luxor, with the second movement including melodies from a Nubian love song Saint-Saëns heard while cruising the Nile. The work is loaded with the kind of twinkling phrases that provide numerous technical challenges, while also passing for Oriental melodies filtered through a distinctly French romantic lens. It has a candy-coated kind of pleasantness, best enjoyed infrequently. 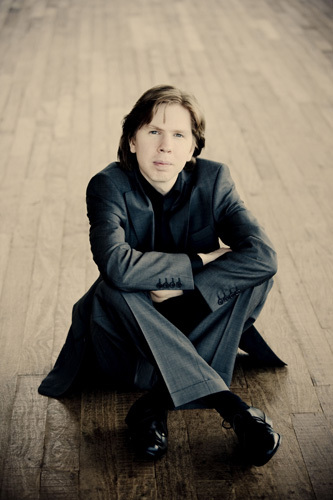 Finnish pianist Juho Pohjonen was the soloist. He has a boyish face which belies his early 30’s age, and when combined with a long and lean frame that barely filled out his gray suit, makes him look like a high schooler or younger: “This kid’s 12 years old,” whispered one audience-member much louder than intended. Fortunately for us all, Mr. Pohjonen didn’t perform like one. He favored a cool approach and crisp articulation, playing with his head more than his heart. This interpretation nicely balanced out the often saccharine qualities of the concerto while allowing its charm to still come through. He could whizz through passages with speed to burn. While his slender tone could sometimes be swallowed up by the orchestra, overall, Mr. Kahane and company ably supported him. For an encore, he played a finely honed interpretation of “Les chinois” by François Couperin from the Fourth Book, Ordre 27ème de clavecin in B minor. I’ve consistently found LACO crowds at Royce Hall to be a weird amalgamation of being highly refined/knowledgeable (clapping between movements rarely happens; intermission discussion about the performance is lively) and unruly (late arriving, early departing, and generally loud in their seats). On this night, the unruly side won out. Even more than the loud “whisper” mentioned above, the most notable moment came with an audience member letting out a loud cough just as Mr. Kahane was giving the upbeat for the opening notes of the concert. The conductor responded by cutting off the orchestra before it began playing, waiting for half a minute for things to settle down, then beginning again. Tags: Beethoven, Cameron Patrick, Jeffrey Kahane, Juho Pohjonen, Saint-Saens. Bookmark the permalink.